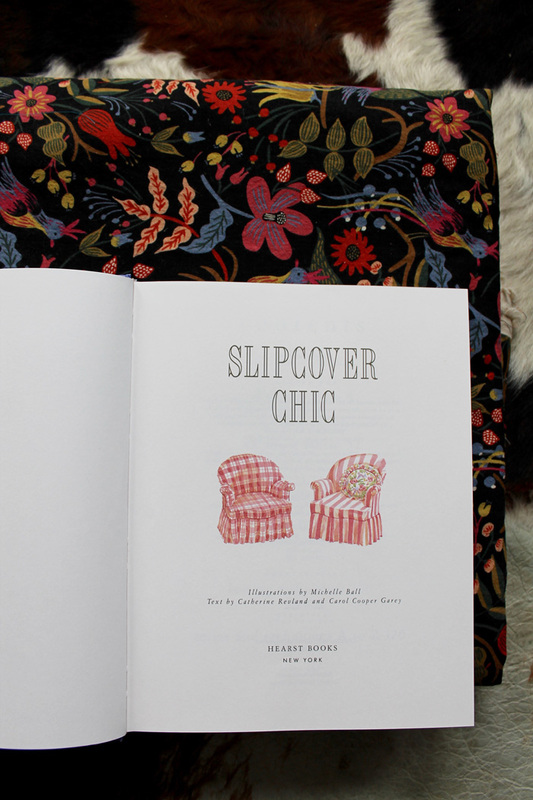 The Shingled House: How to Slipcover a Slipper Chair. Part One. 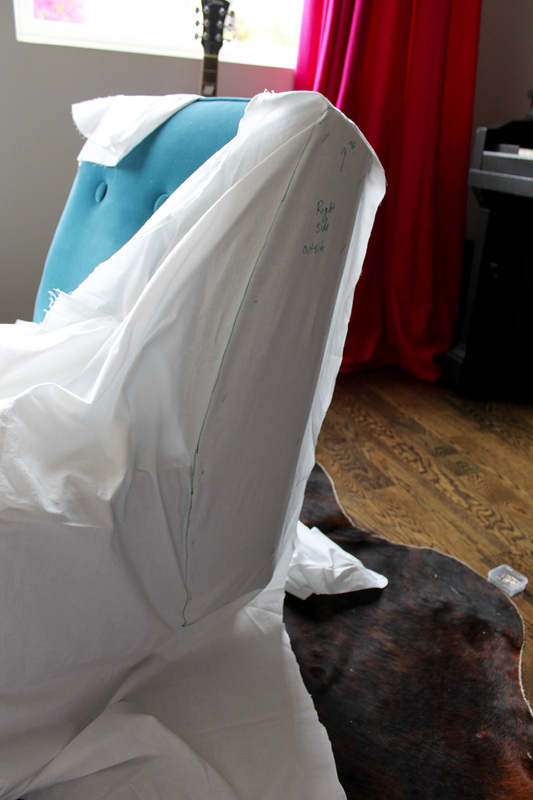 How to Slipcover a Slipper Chair. Part One. Hey! Why not start a new project when I've got like 3 others half finished?! 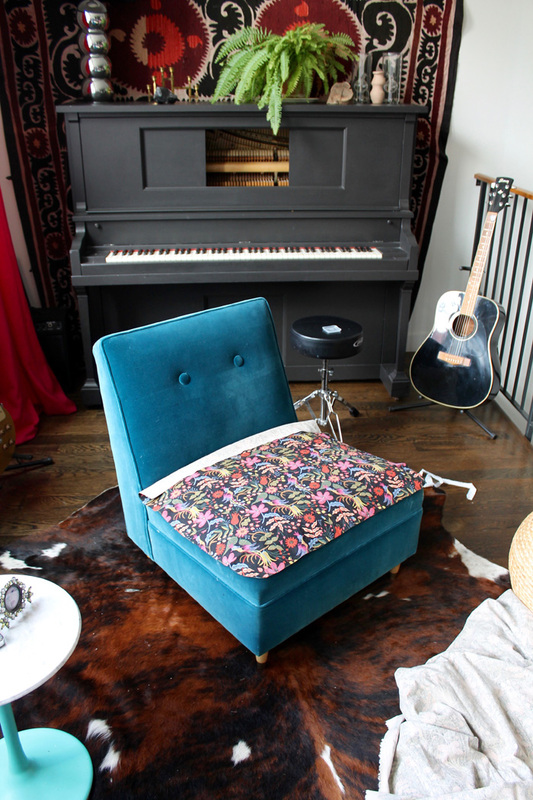 I'm making some slipcovers for these velvet slipper chairs that sit at the front of the house by the piano. 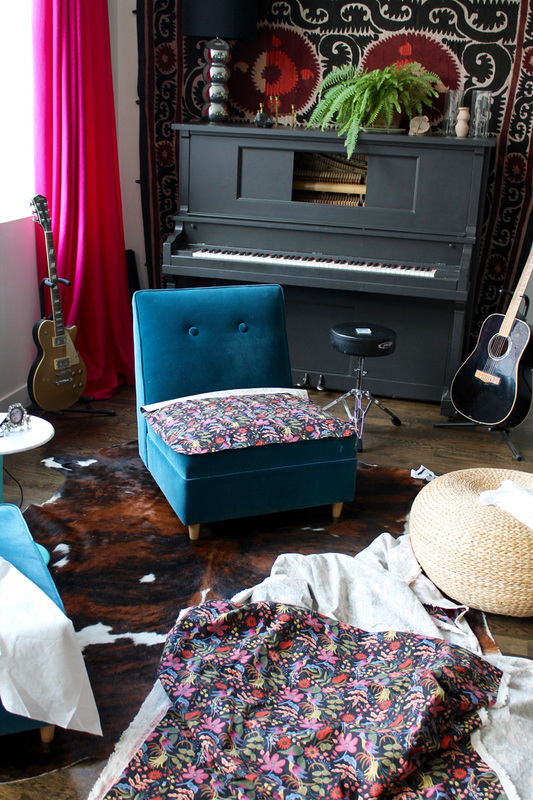 These chairs look fine in this picture but in reality they are completely trashed. Even four years ago, they were in bad shape. Generally I use Youtube as a resource to research a technique when I'm trying something for the first time. For this project, I'm using this book (1992 !) which I found at a thrift store. I'm pretty good at cushions and pillows by now ( :o , :) , :> ) but this is my first go at a full slip cover. This is actually a warm up for me because I am planning on doing a full three seater couch after this project. The fabric is from Rifle Paper Co. It reminds me of a Josef Frank print albeit without the price tag. I dig the black background -I think it takes the edge off the cutsey factor that I find sometimes comes with busy prints. With this project, I am stylistically veering into new territory and that is exciting yet slightly nerve racking for me ! Because I am covering two chairs and this is my first go at this, I am first making a pattern with cotton scrap. 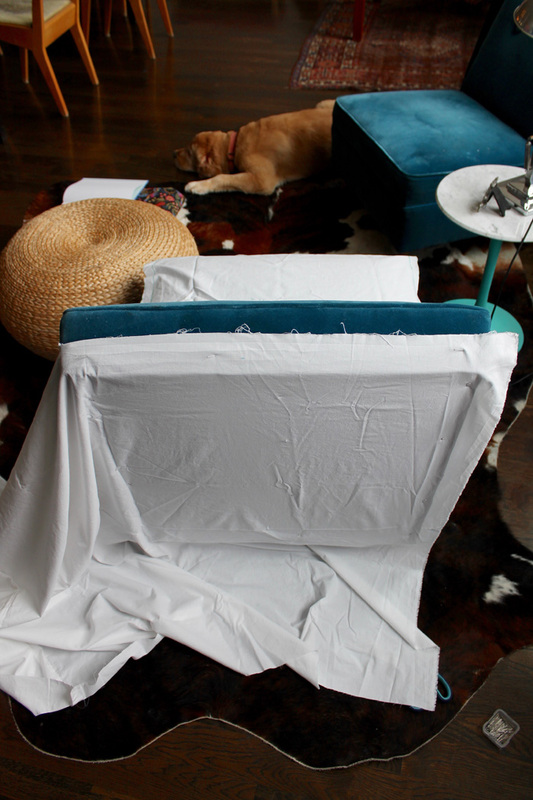 For the slipcover construction, I am basically following the same piece construction as the upholstery. 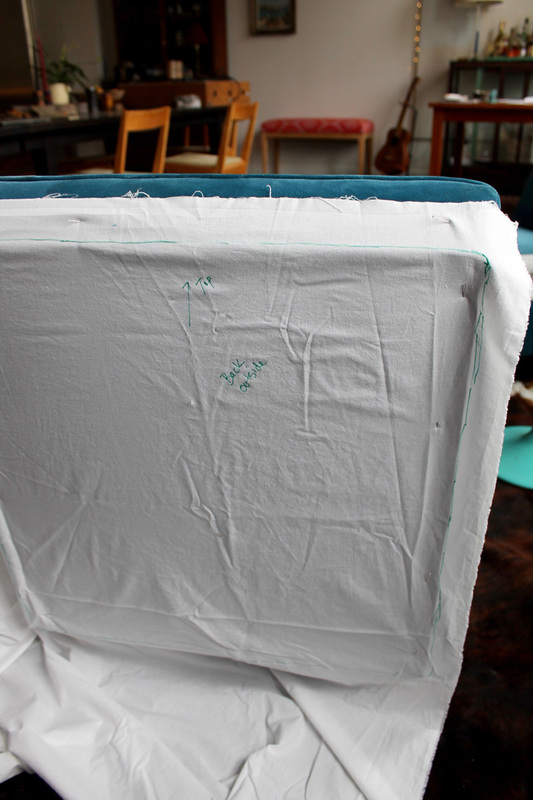 It is as simple as pinning the sheet to the chair and then tracing each section. After tracing each section, I remove the piece and add an inch seam allowance around each side as per the instructions in the book. I made sure to label everything very clearly. I was able to work for a few hours on this today. I managed to trace all of the pattern (minus the skirt), sewed all my welting and began cutting the fabric. I'm hoping to begin pinning everything on (inside out) tomorrow and start sewing. Not sure yet if a zipper will be required and the skirt is probably going to take a bit of figuring. How happy would it make me to bang both these out by week's end, but that's probable complete fantasy.